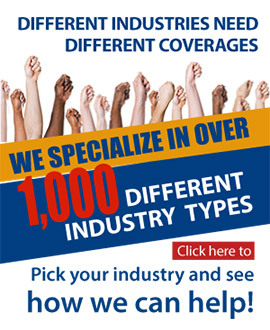 If you're part of the repair service industry in Texas, then let Quote Texas handle all your insurance needs for you. If you are a rancher or employ ranchers, then contact Quote Texas right now to have us help you plan your insurance that's specific to your needs and occupation. Contact Quote Texas if you’re looking for an insurance company that can design an insurance plan for your Texas-based manufacturing business. We can create an insurance plan that’s tailored to the needs of your business. Quote Texas is your trustworthy insurance company in Texas. Our company has been providing extensive insurance plans and policies to all types of industries since 2001, so we’re very familiar with the needs of your livestock farm. Contact Quote Texas if you’re looking for an insurance company in Texas that can help you create an insurance plan that suits your home health care business. Contact Quote Texas if you think your residential general contracting company in Texas will benefit from a comprehensive insurance plan. If you’re looking for a company who can help you create one, then don’t hesitate to contact Quote Texas for help. If your crop farm needs insurance, contact Quote Texas today. We’ve been providing and creating comprehensive insurance plans for many industries since 2001 and we know exactly which policies suit your agribusiness. Contact Quote Texas today and get the perfect insurance plan for your commercial general contracting business. If you haven’t reinforced your excavation contracting business with an insurance plan, contact Quote Texas so we can help get you started.